Your digital art deserves to stand out, and Flame Painter 3 is the perfect tool to make it happen. Little details can make all the difference in your art. 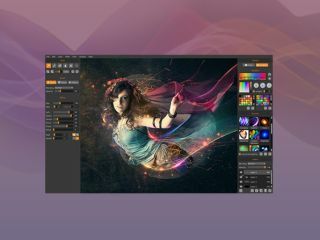 Polish up your work and add the final touches it needs to stand out with Flame Painter 3, a lightweight but flashy and powerful image editor that you can get on sale for 50% off the retail price! If you're looking to add some flair to your art, Flame Painter 3 is the tool you need. This simple and easy to use paint software allows digital artists to make their work even better by adding effects to highlight their art, including editable vector layers and super-smooth antialiasing. Flame Painter 3 will make your art truly pop! You can get Flame Painter 3 on sale right now for just $44.99 (approx. £36). That's a 50% saving off the retail price for a tool that will take your art to the next level, so grab this tool today!